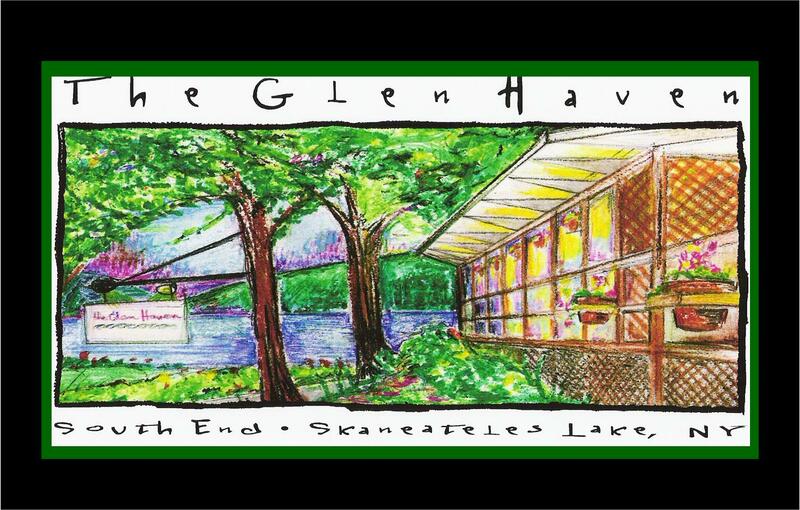 Located on the southern end of beautiful and pristine Skaneateles Lake in the Finger Lakes region of Central New York, The Glen Haven Restaurant has been serving a delicious and varied menu for many decades. Please come join us and enjoy a fabulous meal in a relaxed lake atmosphere by boat or car. COME DINE AND STAY AT OUR NEWLY RENOVATED SECOND FLOOR!! CREDIT CARDS ARE NOW ACCEPTED!! More slips available this season than previous years. Slip rates will be determined by boat width. For rates open the Marina tab. Cash or checks accepted for boat slips. Email glenhavenskn@gmail.com for information on reserving slips. Relax….You’re at the lake !